Blaenavon Ironworks (Cadw)01495 792615work Industrial HeritageThe famous ironworks at Blaenavon were a milestone in the history of the Industrial Revolution. Captivated by the Coal House series? You’re not alone! 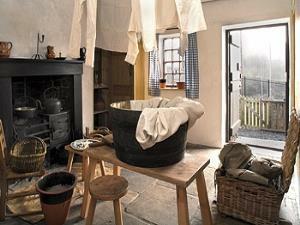 The BBC television series, filmed on site, has attracted thousands of new visitors to witness how difficult life was for working families at Blaenavon Ironworks’ Stack Square cottages. The site is free to all and along with the refurbished cottages and recreated company truck shop; new cutting-edge audio post technology helps bring the story of Blaenavon Ironworks to life like never before. Over two hundred years ago, a different form of cutting-edge technology enabled the power of steam to be harnessed, making Blaenavon possible and taking Wales’s industrial might to a new height. Charging to casting. Charging took place at the ‘furnace top’ with coal, iron ore and limestone, before casting the molten metal in the yard below. However, the ironworks is only one part of the story. The surrounding landscape is also revolutionary in its form and function. From mines to train lines, you can still trace the routes in and routes out, from raw material to finished product. The famous ironworks at Blaenavon were a milestone in the history of the Industrial Revolution. Captivated by the Coal House series? You’re not alone! The BBC television series, filmed on site, has attracted thousands of new visitors to witness how difficult life was for working families at Blaenavon Ironworks’ Stack Square cottages. Millions of pounds were made for some. Millions more can thank Blaenavon’s industrial ingenuity for a lot of what we take for granted today. Whether the workers were as grateful is debatable. Living and working conditions here, while better than most, were more boot camp than holiday camp. 5 November 2018 - 31 March 2019 Thursday to Saturday - 10.00am - 4.00pm, Sunday to Wednesday - Closed.